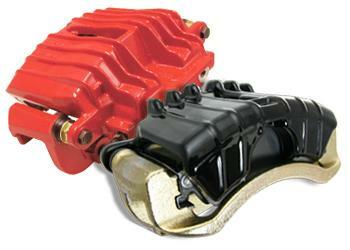 Centric Brake Caliper - Posi-Quiet Loaded - Dezod Motorsports Inc - Home of the automotive performance enthusiast since 2002. Posi Quiet Loaded Brake Calipers are a full line of original equipment replacement brake calipers providing unmatched quality and value. When installing Posi Quiet Loaded Brake Calipers, technicians can be assured that they are getting top quality products that have been engineered to meet or exceed the function of the original part. Each component is specifically designed for each application and the attention to detail throughout the manufacturing and testing process ensures each caliper will perform to the exacting standards of today’s vehicles. Each Posi Quiet Brake Caliper is finished in the same way as the original from the factory; Posi Quiet Calipers feature a Zinc Dichromate finish, or O.E. colored powder coating depending on the application. This feature ensures that the caliper will look as good as it works throughout its lifetime.